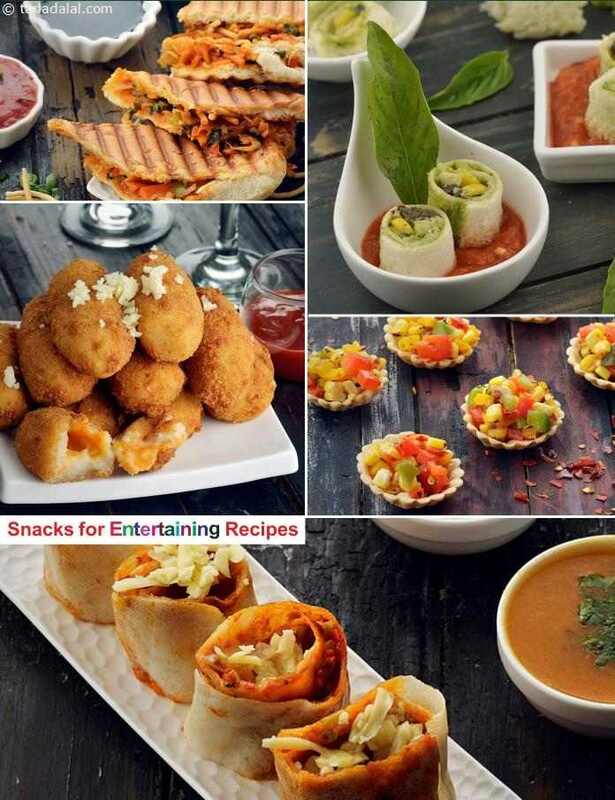 Snacks For Entertaining Recipes : Starters / Snacks Recipes : Tarladalal.com. Snacks and starters served at dinner, tea or cocktail parties have to be a bit more special than what you might have on a normal day. They don’t necessarily have to be difficult or time-consuming but they must be attractive, and served in a way that makes people want to immediately try one! Not only that, they must also be sized handily and served with the right accompaniments. In this section, you will find interesting snacks like Baked Vada Pav , Onion Rings and Corn Cheese Balls which are perfect for entertaining.